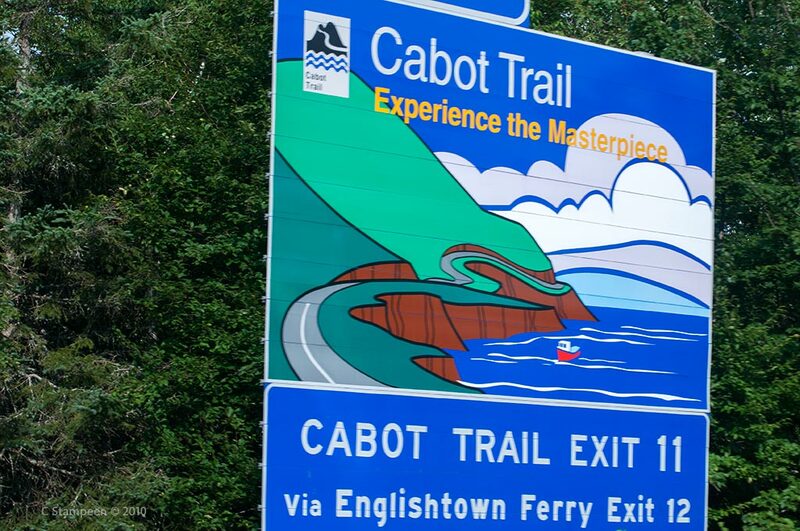 The Cabot Trail, after Peggy’s Cove, is perhaps the 2nd most popular sight for tourists to see when visiting Nova Scotia. It surely is a fantastic drive, especially if you have a sporty car like ours. 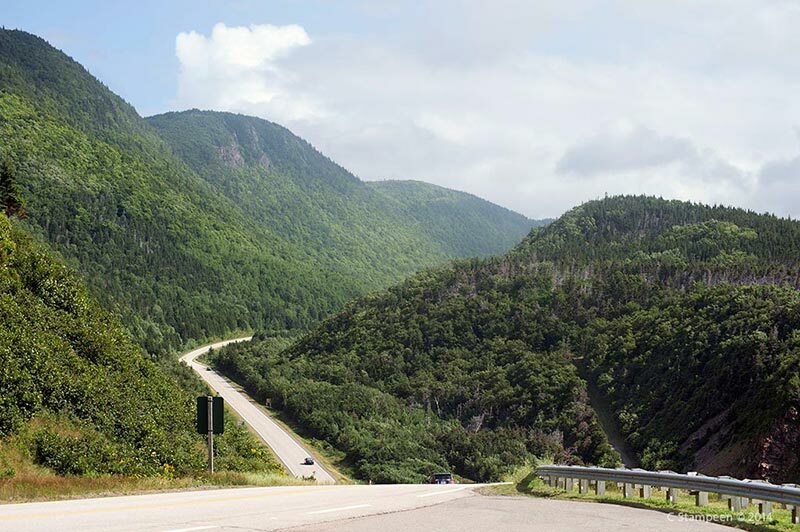 If you choose to take the Englishtown Ferry to shorten your drive to or from the Cabot Trail, consider making some time to check out a nearby puffin colony! 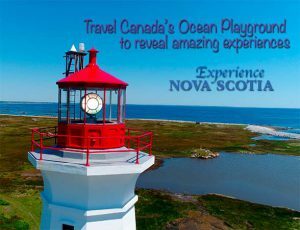 If you are planning your trip ahead and are flexible, call the tour operators to find out when optimal viewing times during the summer are, whether bird or whale watching. 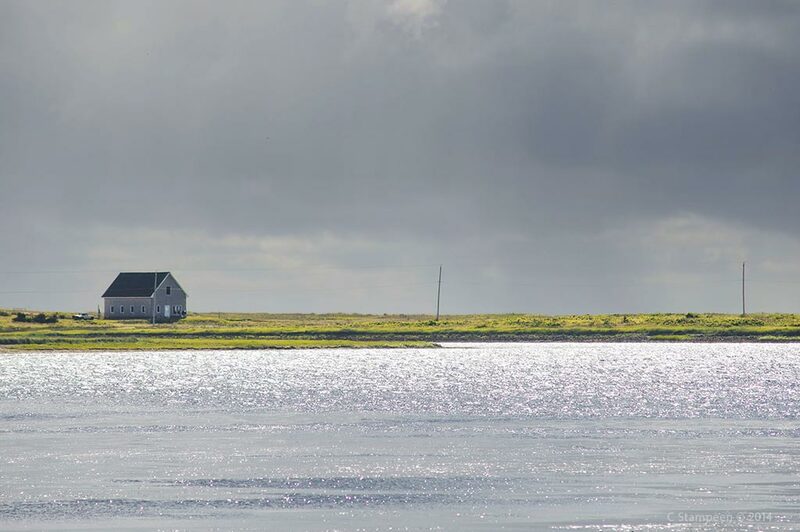 Our trip happened to time just after the puffins finished bringing up their broods on land and they had moved out onto the water. 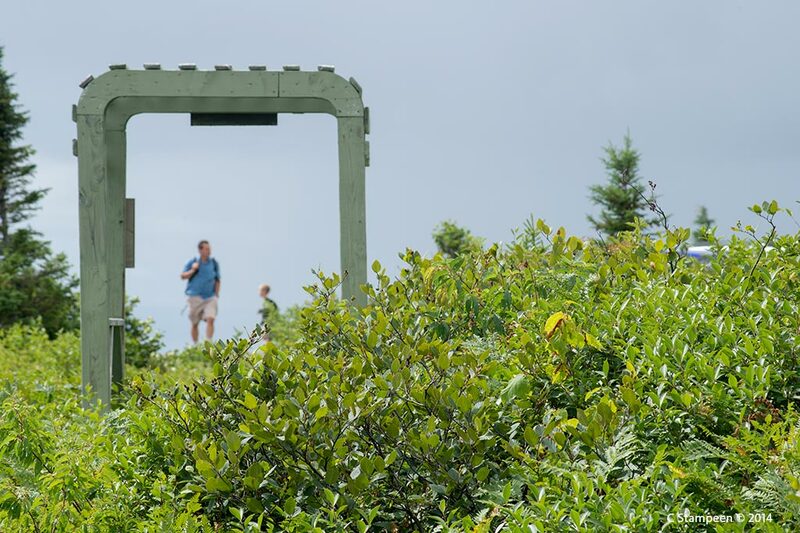 However, puffins aren’t the only birds to see. 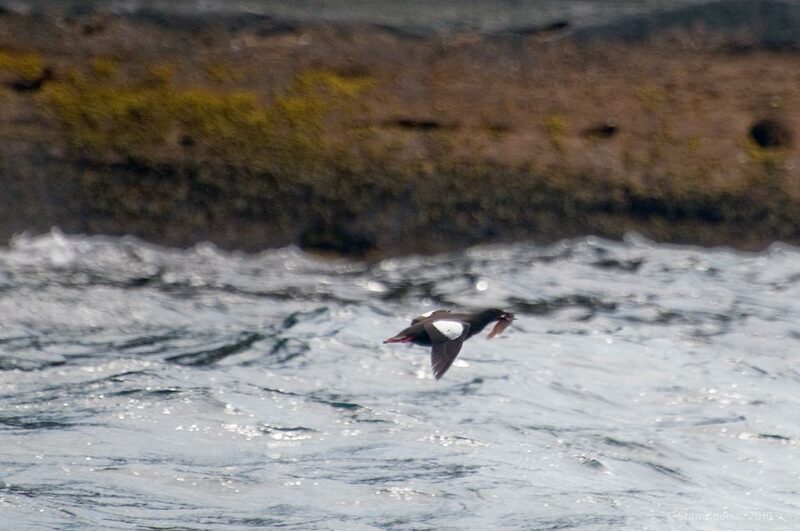 Cliffs and rocky islands make areas breeding colonies for many pelagic species of birds (those that spend their lives at sea, only coming to land to breed). A Black Guillmot flies by after a successful hunt. 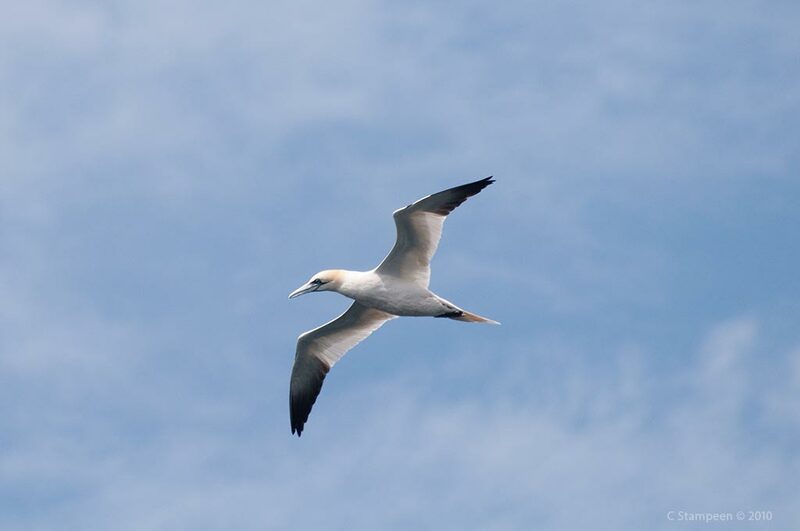 Northern Gannets may be seen soaring. 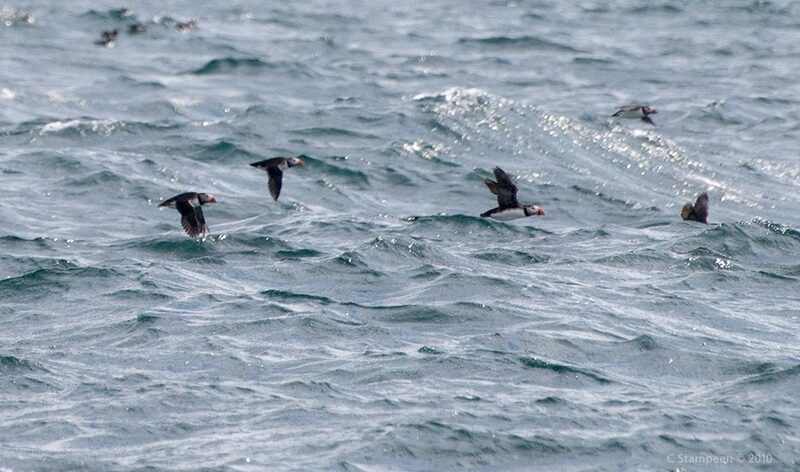 Puffins: awkward and even comical when on land or flying, they are truly at home on or in the water. 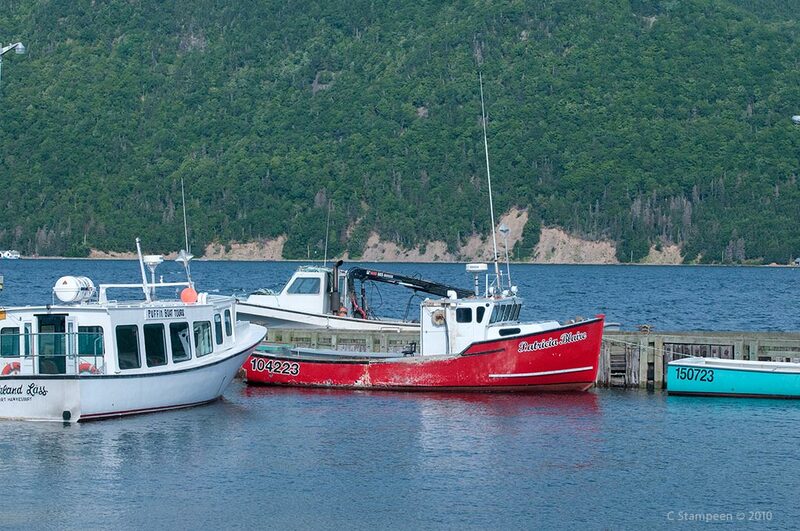 Often one will see them start to fly when a boat approaches, but then give up and dive into the sea to safety. 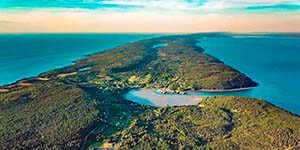 Whenever you are surveying a majestic view, pay close attention to any flash of white in trees, particularly near treetops with great vantage points. 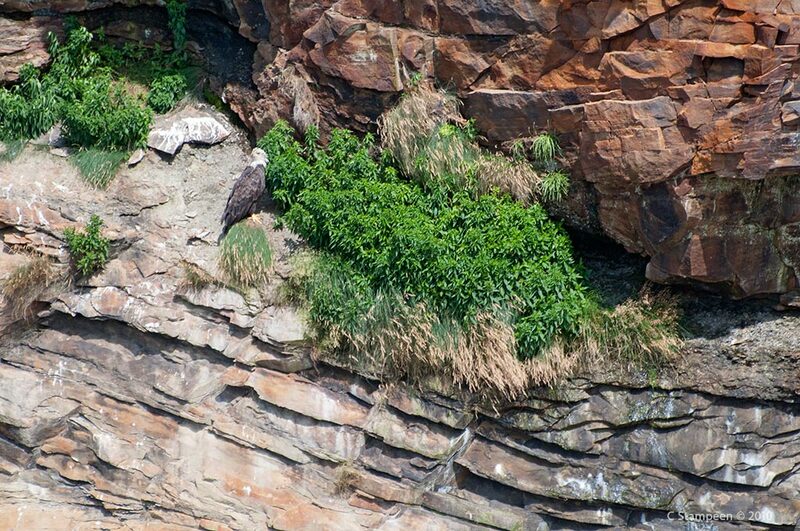 You may be looking at a Bald Eagle. 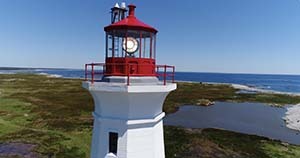 However, also keep an eye out along cliffs. A note for those unfamiliar: it takes about 4-5 years for the adult’s head to turn completely white. 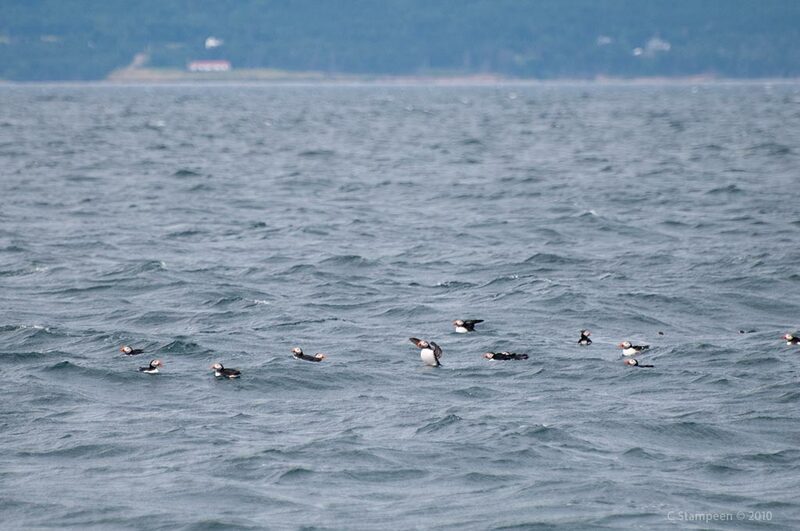 As immature birds, their heads are brown. 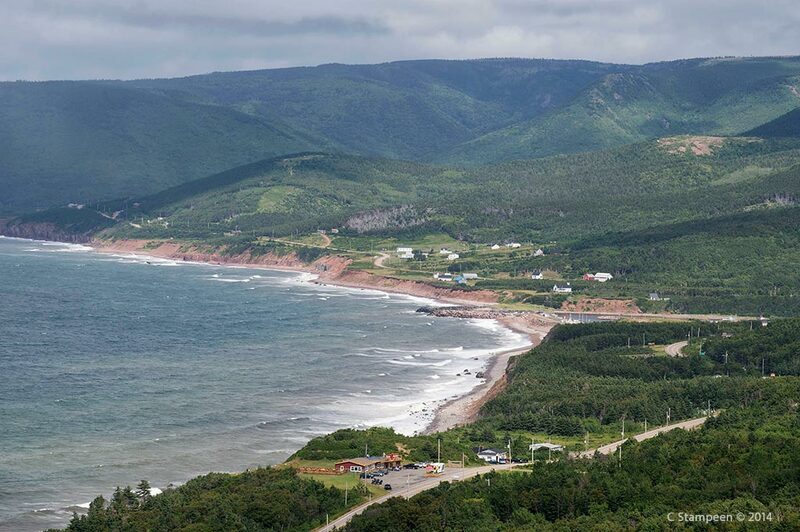 Ingonish beach is a popular spot in the summer for locals and tourists alike. 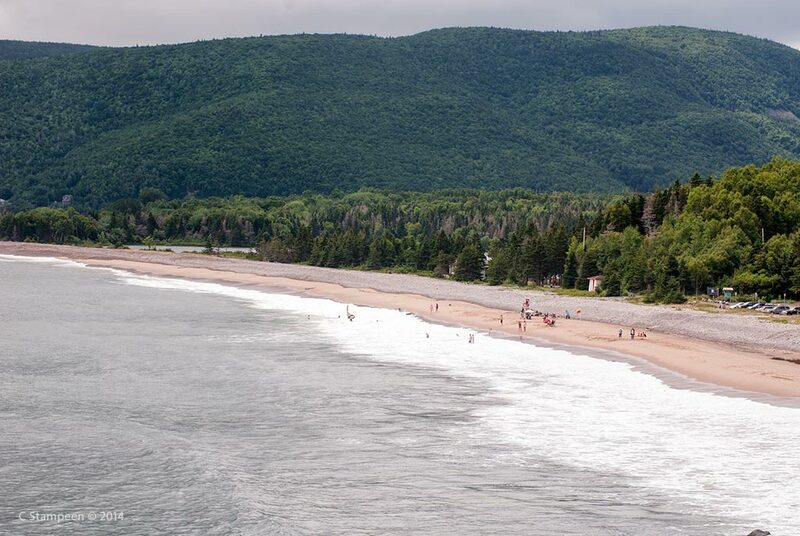 Its white sandy beaches make this one of the best beaches on Cape Breton island to go swimming in the Atlantic. 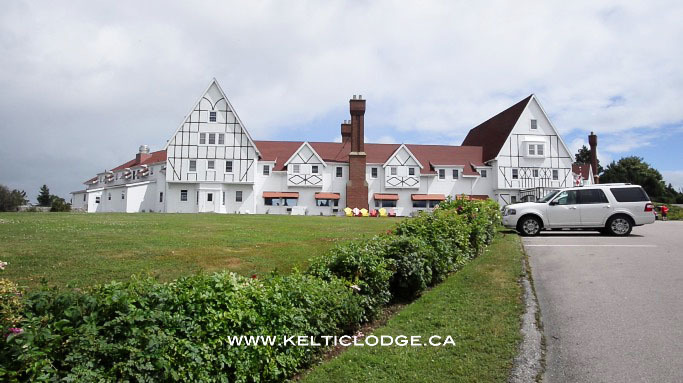 Best known for its fine dining and luxury accommodations, the Keltic Lodge at Ingonish is an amazing resort for a romantic getaway vacation by the sea. 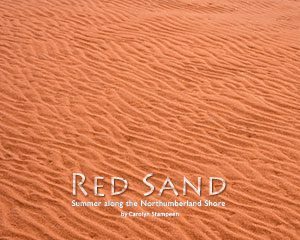 Looking for something a little more intimate? 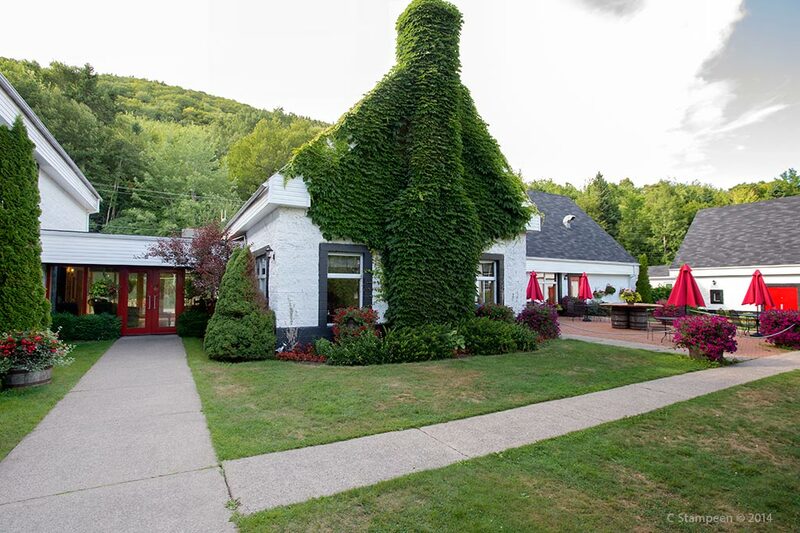 Don’t overlook the many charming B&B‘s. 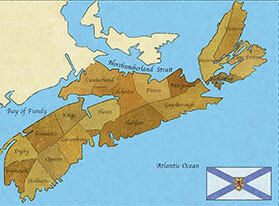 Cape Bretoners are known for their hospitality. 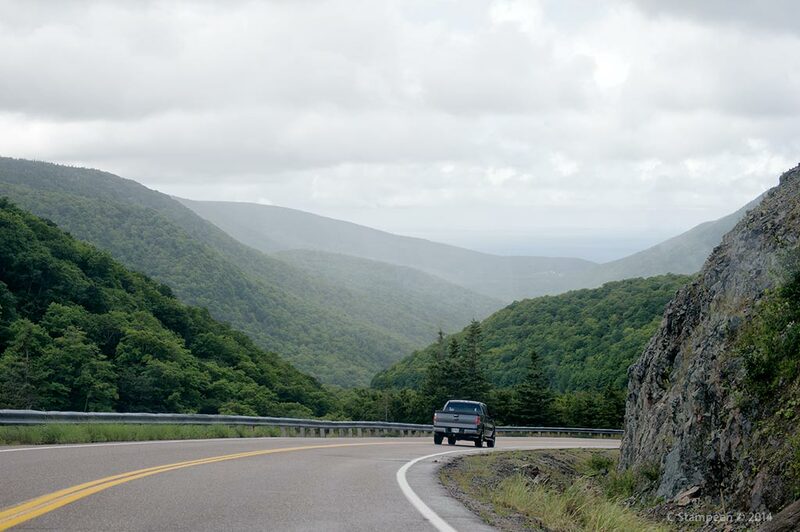 The highway through the mountains is simply beautiful and a lot of fun to drive with its many twists and turns. 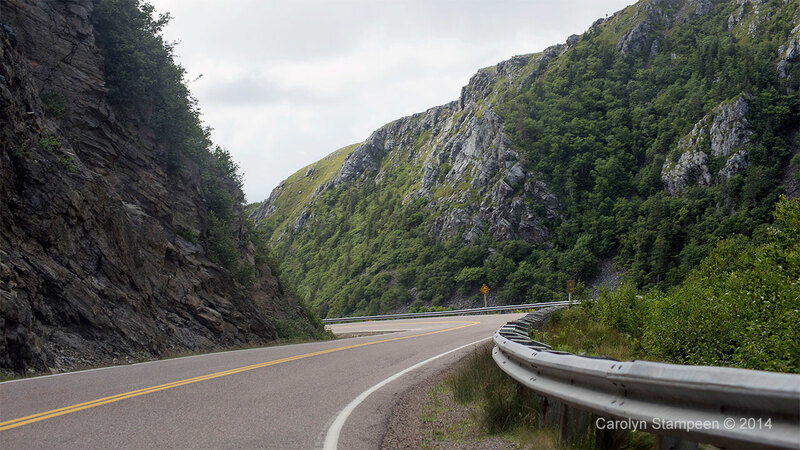 The Cabot Trail has many look-offs with fantastic views where it’s safe to pull off to the side to the road. 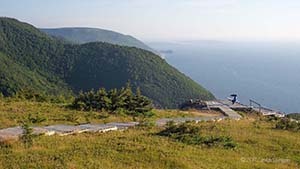 Hiking trails can be found all along the Cabot Trail, offering adventure to the casual or serious hiker. 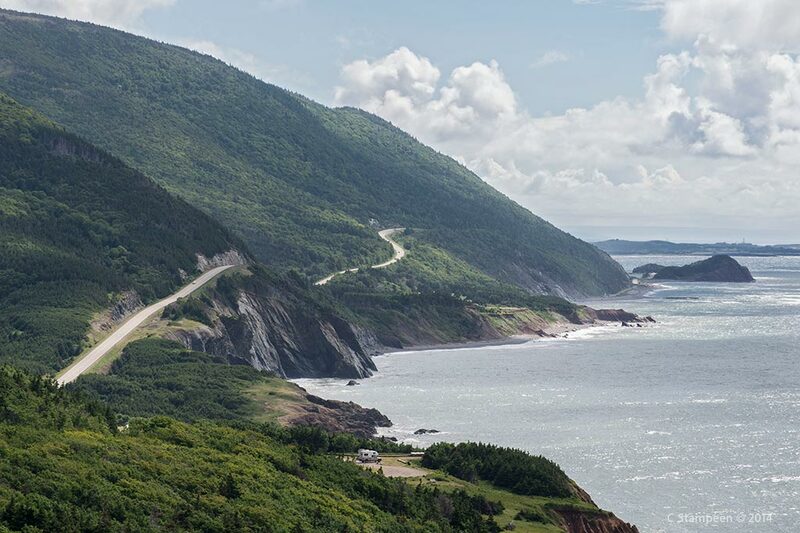 Maybe you just need to stretch your legs a bit along the drive. 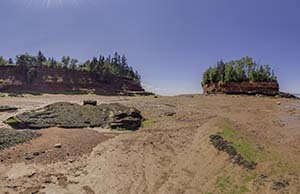 Click the image to enter a 360° view. 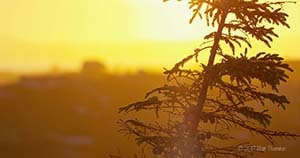 Drag your finger or cursor, depending on device, to turn around in the scene. 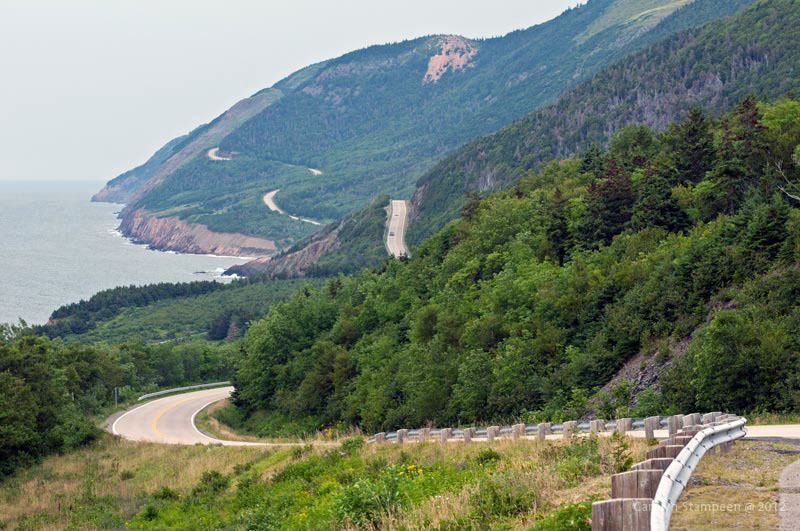 A great spot to visit on the Inverness side of the Cabot Trail is the Glenora distillery. 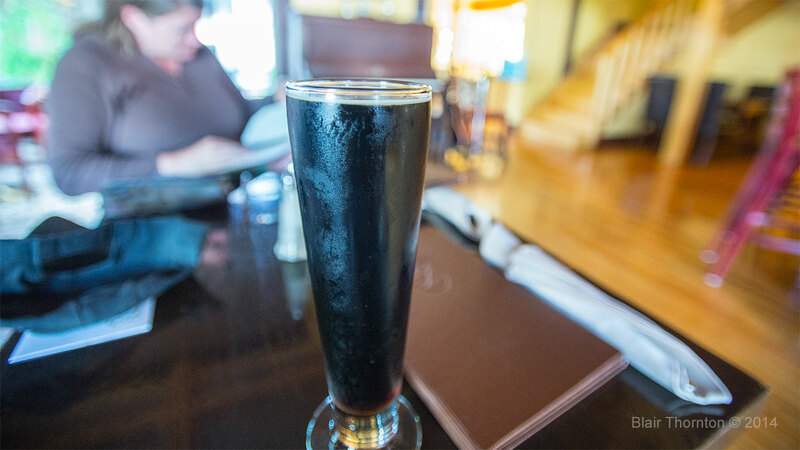 Their restaurant and beer selection is makes this a great place to rest for the weary traveller. 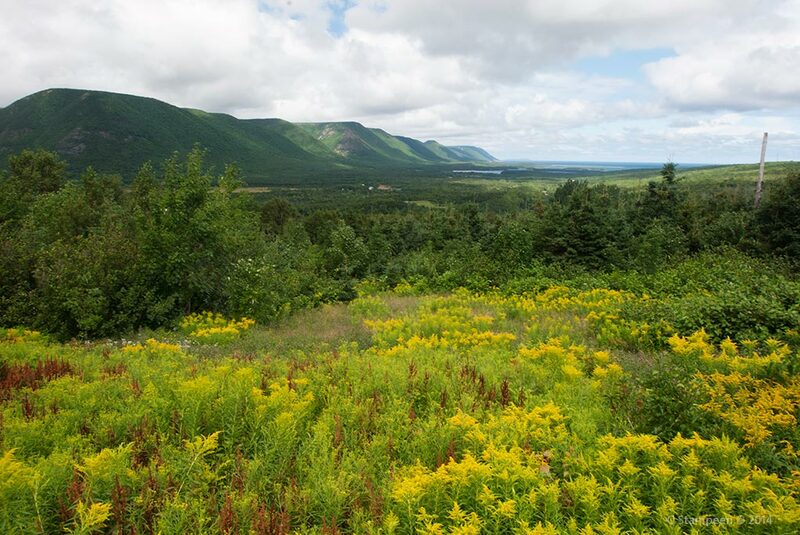 The grounds are beautiful and the setting, well, this is Cape Breton. 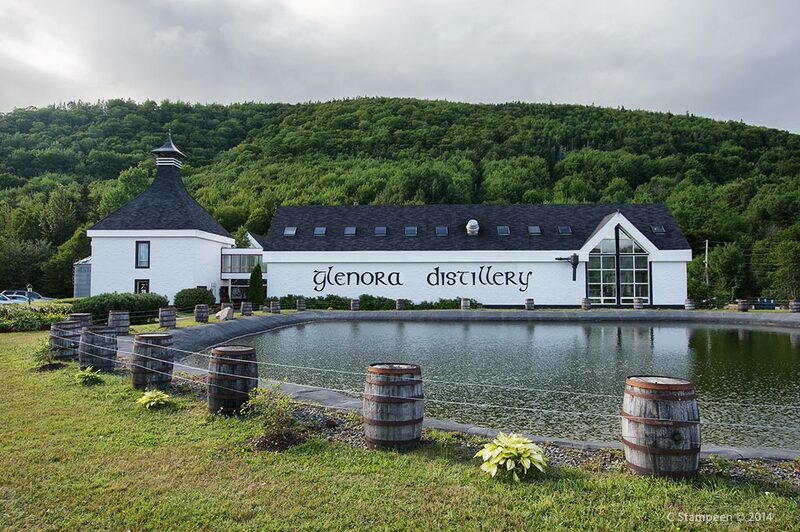 The Glenora Distillery is the home of Glen Breton Whisky. This is the only distillery outside of Scotland to make Single Malt Scotch, but since they’re not they’re not located in Scotland, they’re not officially allowed to call it scotch. 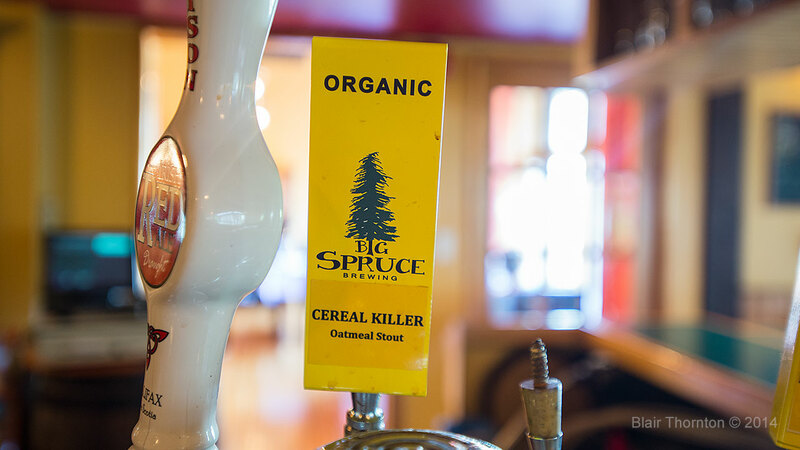 The restaurant here is very good, though somewhat pricey, and the bar has local micro-brewery beers on tap like this Cerial Killer Oatmeal Stout from Big Spruce. 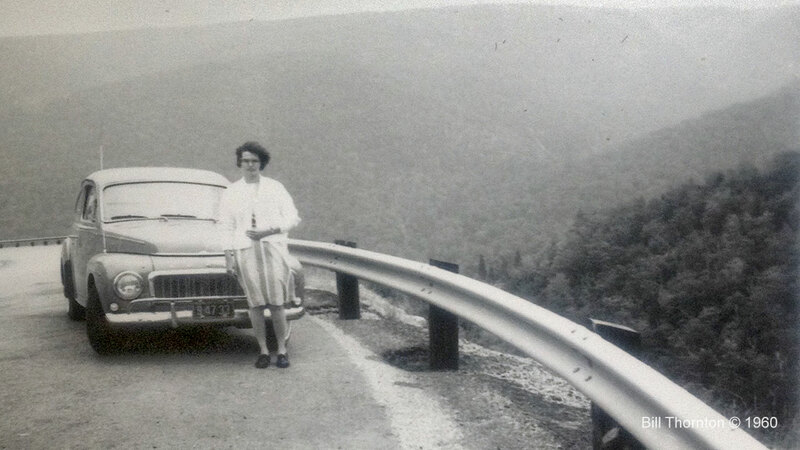 Here’s my mom on the Cabot Trail in 1960. 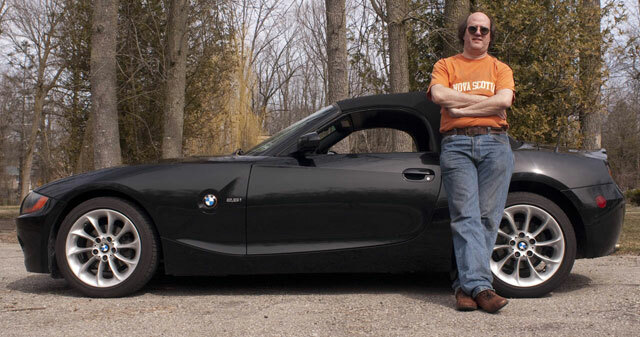 Yes, Dana, it’s a Volvo. 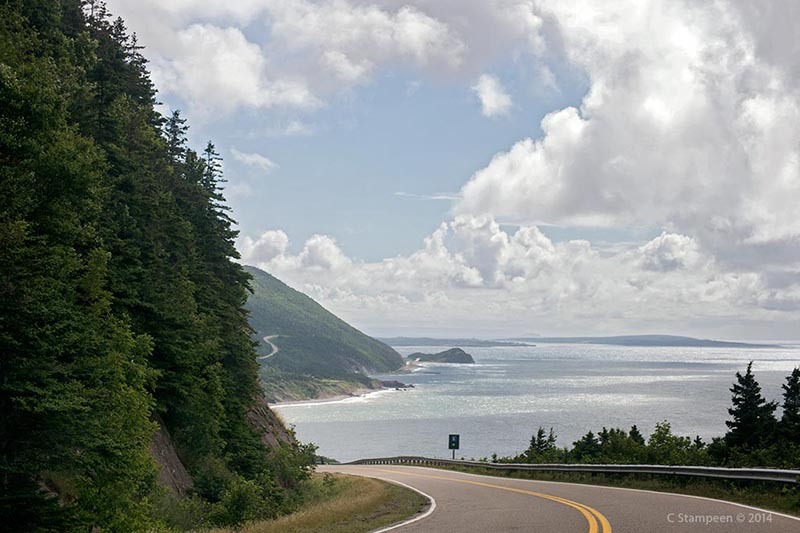 This entry was posted in Scenic drive, Travel video, Video and tagged Cabot Trail, Nova Scotia. Bookmark the permalink.